"I think we need to show unity and how we love our neighbors, no matter what color they are or what religion"
Residents of Loudoun County, Virginia, are fighting hate with love. For months, Ku Klux Klan recruiting flyers and racist literature have appeared outside hundreds of homes in the county. 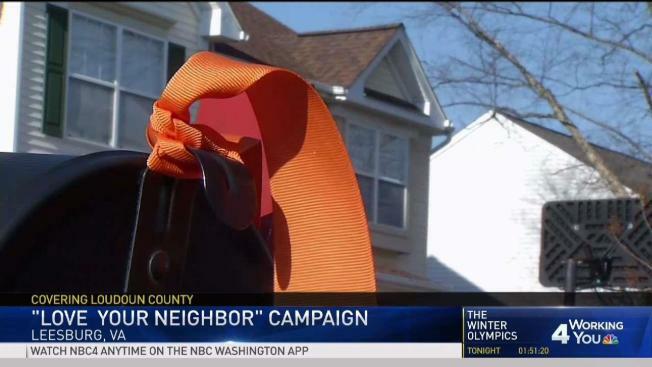 Now, a campaign is underway for neighbors to express their opposition to racism and embrace of unity with orange ribbons tied to the front of their homes. A small army of volunteers is working on "Love Your Neighbor: The Orange Ribbon Campaign." They're holding "orange ribbon parties" to stuff bags with lengths of ribbon and a slip of paper with a note. "We as a community display this orange ribbon, a sign of love and unity, in response to expressions of hate and bigotry. To help spread awareness, please tie this ribbon on your front door or mailbox," one note says. Leesburg resident Patty White said she was happy to tie a ribbon onto her mailbox on Thursday. KKK flyers were left in the area right before Martin Luther King Jr. Day. "I think we need to show unity and how we love our neighbors, no matter what color they are or what religion," she said. Her next-door neighbor, Laura Geissler, threw an orange ribbon party. "I just heard a lot of people talking about how silence in this instance wasn't a good response, and that we needed to have some response," she said. Geissler said she followed the lead of Leann McNamara, a resident of nearby Purcellville, in handing out the orange ribbons. Someone tossed brochures with racist messages and images outside 10 homes in Leesburg, Virginia. 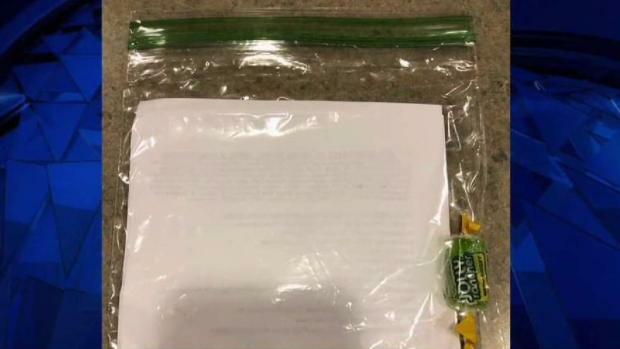 One of the fliers said hateful comments about Martin Luther King Jr. News4's Aimee Cho spoke with a resident who said he was shocked to read the hateful messages. The volunteers plan to go door to door to hand out hundreds more ribbons, and hold a "Love Your Neighbor" concert at a local church.